Right now my loving husband is working on our next post. I don’t want to give too much away, but I will hint at the fact that the love of my life, and our household’s chief engineer, is going to be presenting to you an essay and some technical hints on the preparation of one of our most favorite libations. But for more on that, you will have to wait, at least a teensy while longer. And now that I have piqued your interest with a glimpse of things to come I would like to switch gears entirely to discuss the topic that has been “top of mind” for me over the last few months. I have spent a great deal of time lately ruminating on ideas related to the grand theme (and current social buzz word) of “Sustainability.” More specifically, I have been reading, researching and listening to various different sources in hopes of developing some deeper understanding of how my decisions, as a consumer, impact the environment, and, furthermore, how environmental impacts may threaten future generations ability to thrive. The modern American Diet, with its focus on meat protein and packaged convenience foods, has taken a toll both on the health of our people and on the environment. I recently completed an eye-opening course on the American Food System on Coursera. The course provided an impactful overview of both historical and modern systems of agriculture and food animal production, as well as the policies, such as the American “Farm Bill”, which drive the complex networks of subsidies as well as the protocol governing food assistance programs and the dissemination of information related to nutrition. But among the many segments was most illuminating to me were the lectures on industrial food animal production systems and their environmental and health costs. Not only do Industrial Food Animal Production systems have a stark impact on the ecology of the immediately surrounding area, but the industry’s hunger for resources, from water, to energy, to pharmaceuticals is stripping the nation of many resources and putting us at risk for environmental disaster. And that is to say nothing of the nasty byproducts of the production such as animal waste, methane gas, and potential for diseases that come hand in hand with large scale facilities. It is clear that something needs to change, in terms of our patterns of meat consumption (which, until recently, had been on the sharp rise over the course of the last century) as current trends are simply not sustainable. While the facts of food animal production are certainly harrowing and, indeed, a bit off-putting, for me, the solution to lessening the impact of my food choices on the environment is not to simply forgo meat altogether. It is clear to me that meat protein should play a far smaller role in our modern diet. In our home, we have committed to eating less than a single small (3-4oz) serving of meat per day and endeavor to vote with our food dollars to support farmers who use sustainable practices in raising food animals. 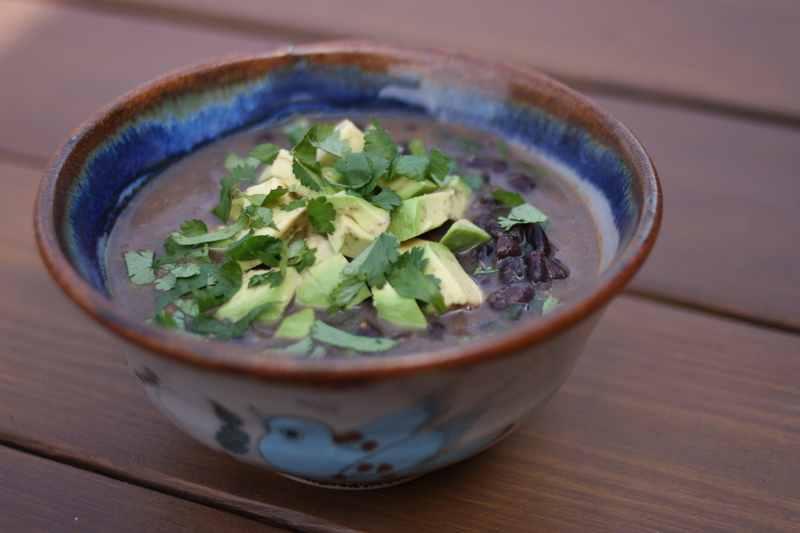 The recipe for black bean soup featured below was developed around a traditional practice of using a small portion of meat as flavoring for an otherwise plant-based meal. While the amount of meat used may be small, it’s smoky and savory favors make a big impact on the hearty soup, which is a warming treat to share with loved ones on a rainy spring day. One final note here on using dried beans, the dried nature of the beans used in this dish allows for them to be cooked for a much longer period of time without compromising the texture of the bean. 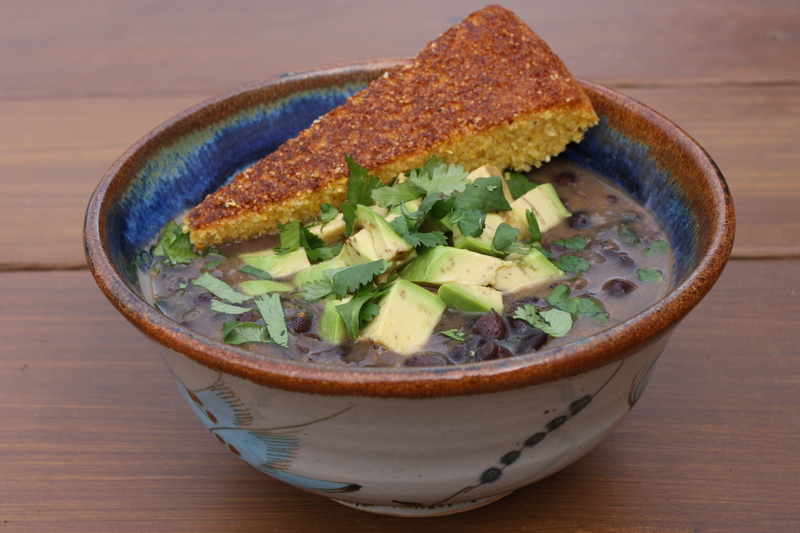 With the longer cooking window the beans absorb a greater deal of flavor from the bacon and aromatics in the soup creating a richer end product. If substituting canned beans the overall cooking time for the soup will need to be much shorter in order to avoid reducing the beans to mush. Start by soaking your beans. I start mine in the evening after dinner and drain them and change out the water just before going to bed. If you are concerned about wasting water – the liquid drained off of the beans can easily be saved to water houseplants. 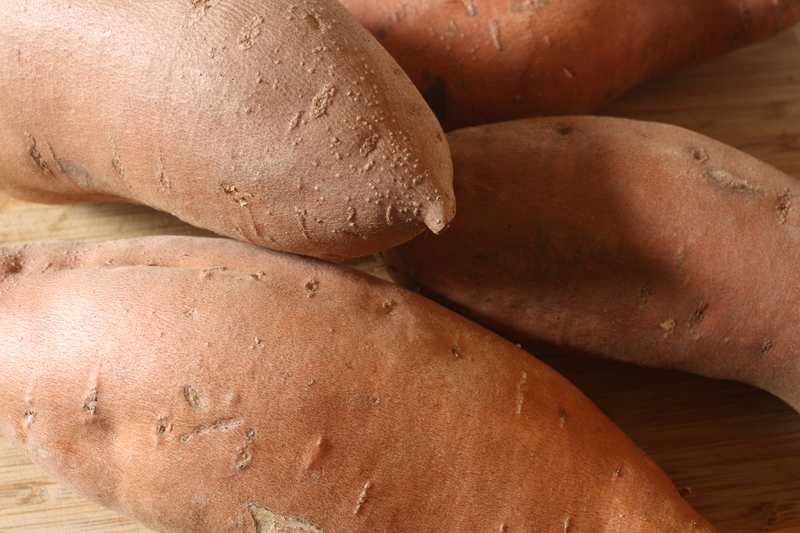 Once the beans have soaked for at least 8 hours, drain them again and set them aside. Heat 1 TBSP of the olive oil in large skillet over medium-high heat. 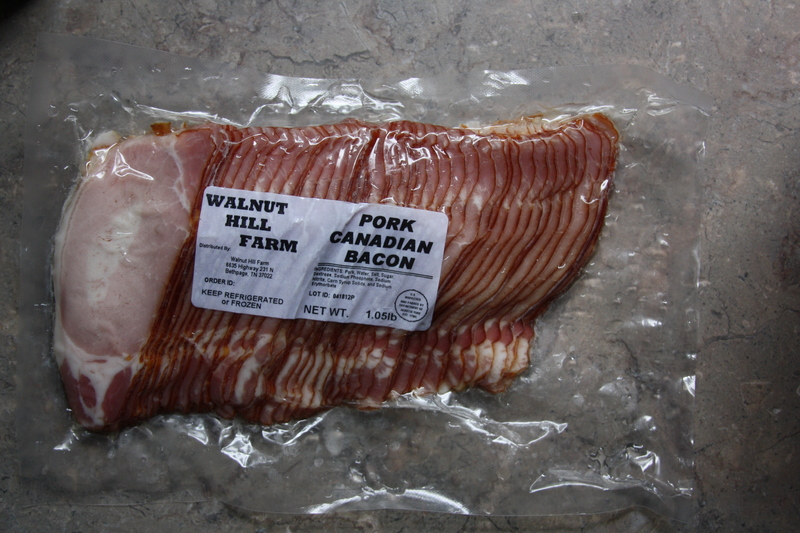 Add the canadian bacon and cook until any fat has rendered and the meat is slightly browned. 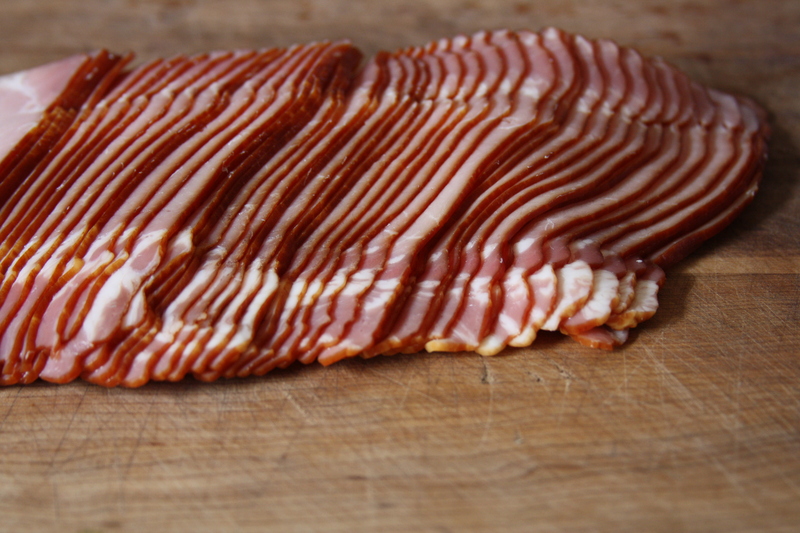 Remove the bacon with a slotted spoon to a paper towel lined plate and set aside. Add and onions and sauté until soft, add the Cubanelles and continue to cook until they too soften. Stir in the canadian bacon, garlic, chipotle, and cumin and sautee for another minute or so before tipping in about 8 cups of water. Add the beans to the pot and stir. Bring the soup to a boil and then reduce to a simmer. While the soup does not require constant monitoring at this point be sure to periodically check on the pot to ensure that there is still enough liquid present to cover the beans. About every 20 minutes or so, skim off any foam that rises to the surface, and then give the mixture a few slow stirs to ensure nothing sticks to the bottom of the pot. Be sure to do this in this order, skimming first and then stirring, as you do not want to stir the foam back into the soup. 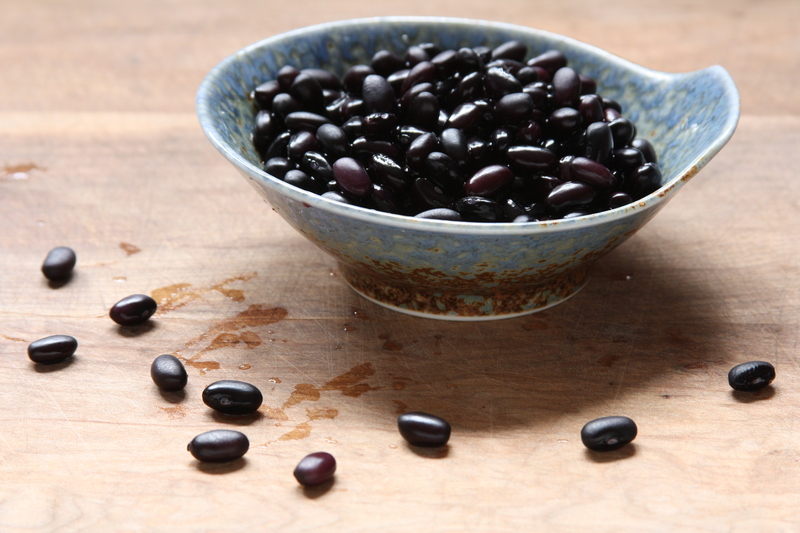 The cooking time for dried beans can vary widely depending on the age of the beans and length of soaking time. After the first hour and a half of cooking time test one of the beans to see if it is tender. To do so, remove a bean or two and set it on a plate, as the beans may still be rock hard it might not be the best plan to toss it in your mouth and chomp down – instead test one between your thumb and forefinger to see if there is any give. If the bean is still completely hard keep the pot simmering away and test again after another 30 minutes have elapsed. If the bean has reasonable give you can move on to an actual taste test to better gauge the texture. When Dustin is put in charge of testing the doneness of things he invariably asks me how to know when it is done – here I will offer the same advice I give to him, when you like the way the beans taste, and the texture is to your liking, they are done. 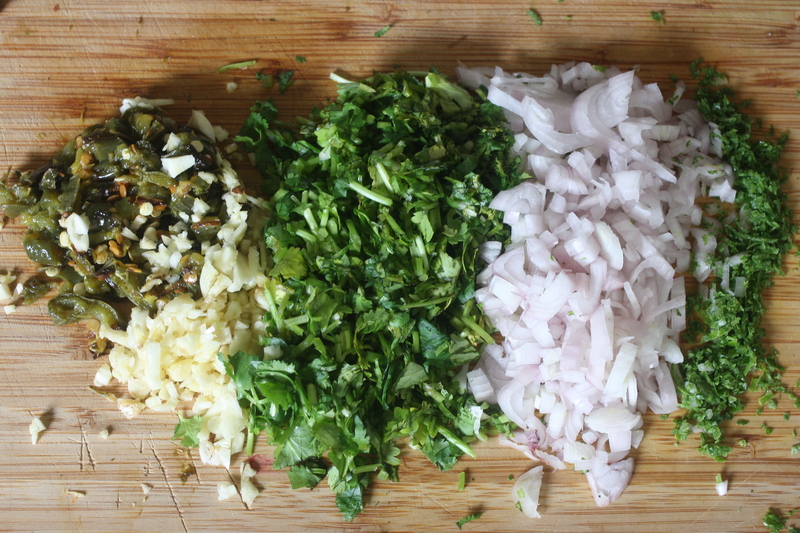 Once the beans are cooked to your preference, stir in the tequila, about half of the chopped cilantro, and the lime juice. Taste the soup and determine if more lime, cilantro, or salt is needed and adjust these seasonings until they, too, meet your flavor preferences. 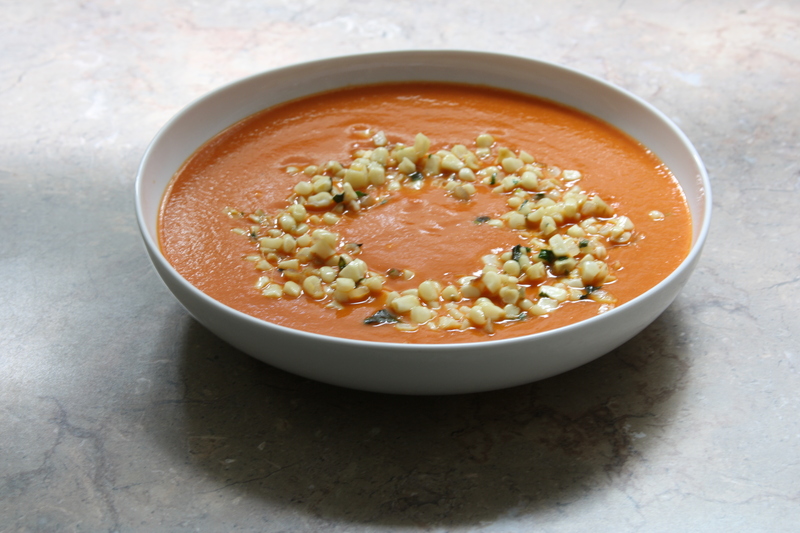 This soup is great on its own but also pairs well with homemade cornbread – I love the cornbread recipe featured on the Anson Mills website. 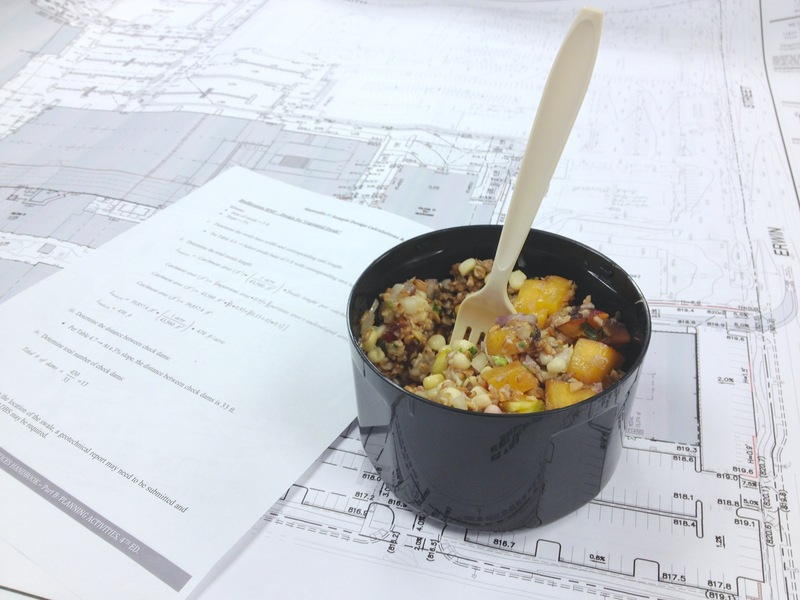 The recipe is as simple as it gets but is remarkably good. If you have not explored Anson Mills’ site before, it is a stunning resource for information on grains such as Oats, Corn, and Rice and their freshly milled ingredients are a world above anything available in even the best grocery stores. 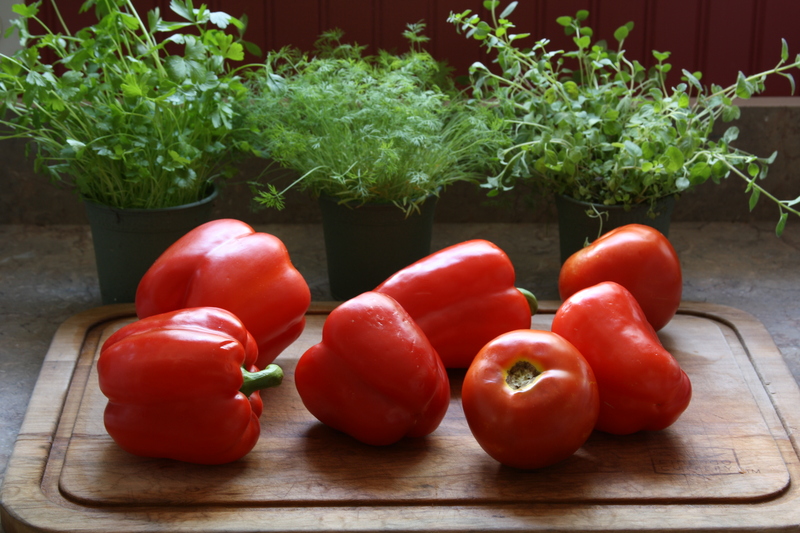 If tomatoes are summer’s prom queens then peppers must be the practical jokers of the produce kingdom. Allow me to explain. 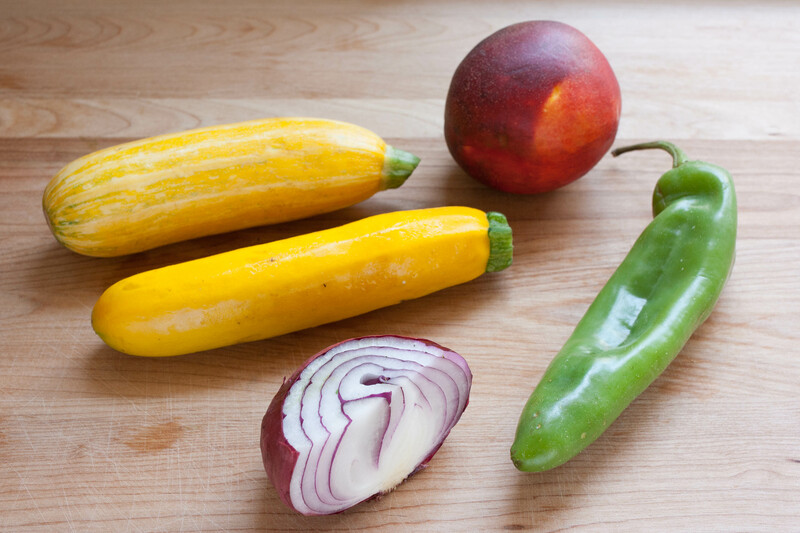 Peppers, or shall we say chilies, like to be the center of attention. It takes careful skill, and occasionally some real gumption in tasting raw specimen to determine their spice factor (but more on this in a moment.) And with deft hand and careful placement the home cook can teach chiles to play nice with their veggie (and occasionally fruit) brethren and serve in a complementary, rather than a starring role. But what makes them jokers in my mind is the way that peppers can lure you into a false sense of confidence one moment, and come through with a shocking wallop when you aren’t looking. In fact, I have found that home grown peppers in particular seem to vary WIDELY in their degree of spiciness. The same pepper plant may yield an early June crop of jalapeños that are mild and sweet and then give birth to fire breathing dragons of peppers just a few weeks later. If fact, according to the obviously unassailable source of Wikipedia (insert snarky comment here) Jalapenos can range in spiciness from as little as 2,500 to as much as 8,000 Scoville Units. What are Scoville Units you may ask? Scoville Units represent a measurement of the amount of Capsacin present in a pepper. Capsacin is a chemical compound that stimulates nerve receptors in your body producing that oh so familiar burning feeling you might experience while eating spicy foods. To hone in on just what the Jalapeno’s wide ranging Capsacin content means for us the home cooks, allow me to paint an illustration. Mild Anaheim Chiles rank around the 2,500 Scoville measure, while heady Serranos typically chime in just above the Jalapenos at 10,000 Scoville Units. 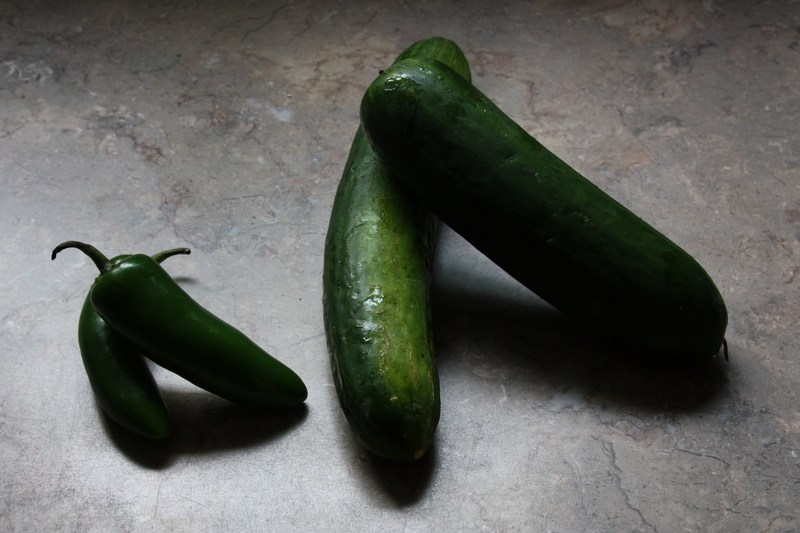 So selecting a Jalapeno to use in your favorite salsa can be a bit haphazard and the same measure in cups or weight or number of chiles can illicit quite different end products. 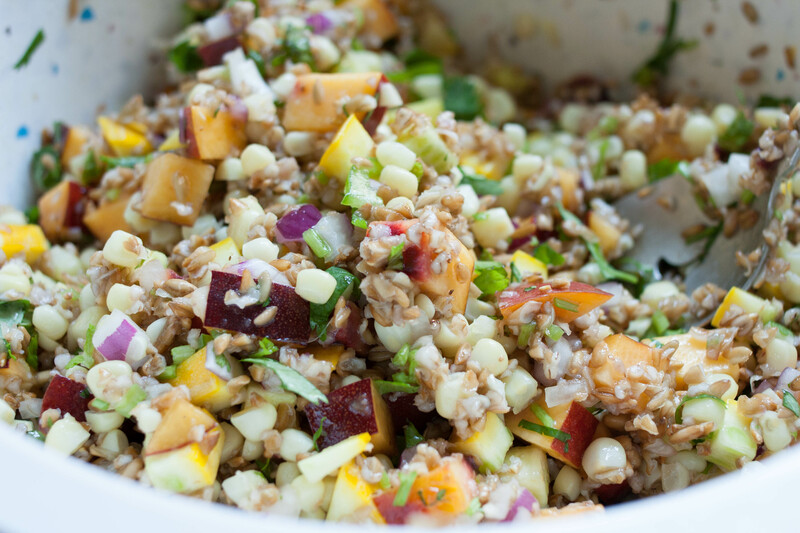 What, you may ask, does any of this have to do with corn salad? Reader, I assure you, this is not just another one of my tangents on food education (though every day in the Briggs-Limaye Kitchen is chock full of learning experiences.) 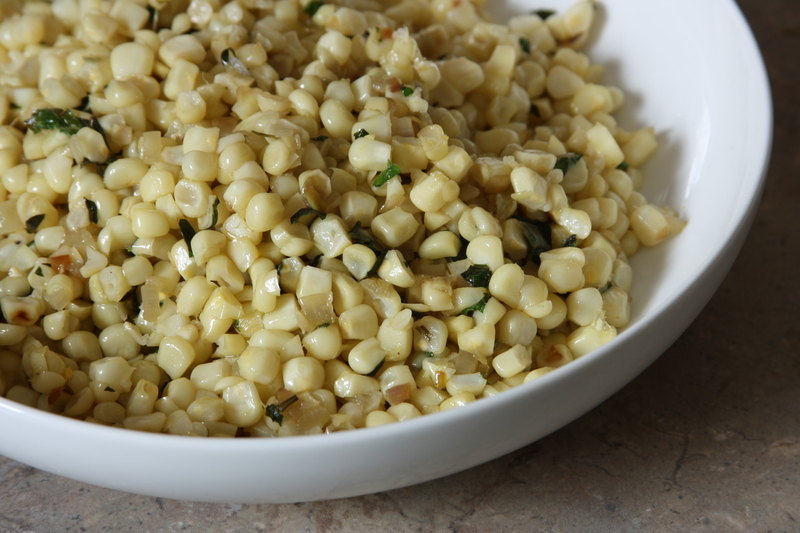 Dustin and I have been working away to diligently test recipes for posting here and in doing so took a couple takes at making this corn salad (also its sort of addictive so it didn’t really hurt that we just couldn’t stop eating it.) The first was for a small get together/cookout in our back yard. The corn I had bought was large kernel corn, we used our favorite new microwave method for cooking the kernels and steamed them 2 at a time in the husks for 3 minutes before slicing off the stalk end and shaking the kernel out (its amazing, they come out silk free and the microwaving is just enough to barely cook the corn for the salad.) 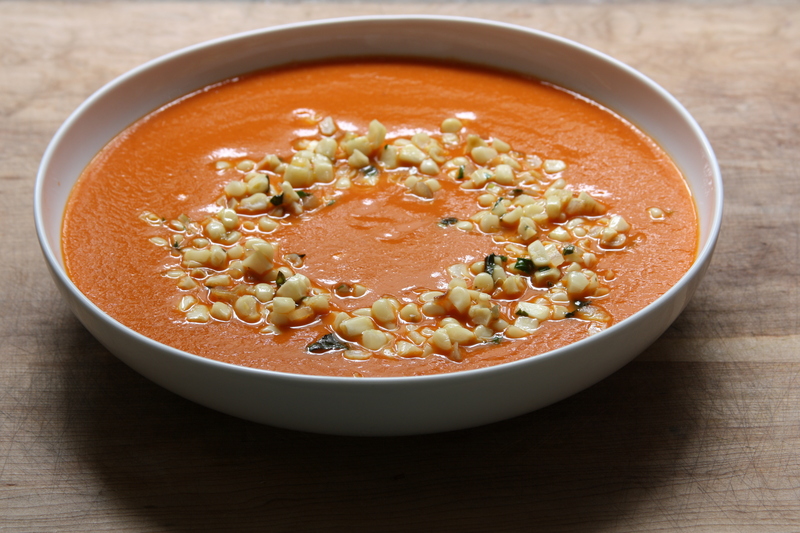 The end product was beautifully sweet from the peak season corn and had a nice balanced punch from the jalapenos. Most recently the corn we used was a smaller kernel corn that was starchier and less sweet than the first batch, the 3 minute microwaving time proved far too long for the small kernels but when we reduced it to 2 minutes our favorite cut and shake trick didn’t work quite as well as it had previously. Additionally, though we used the same number of jalapenos the end product was FAR spicier than the first round had been. From trial and error we learned two important lessons that will hopefully make this dish a winning success in your kitchen. First, use large ears of corn, with tight rows and fat kernels. 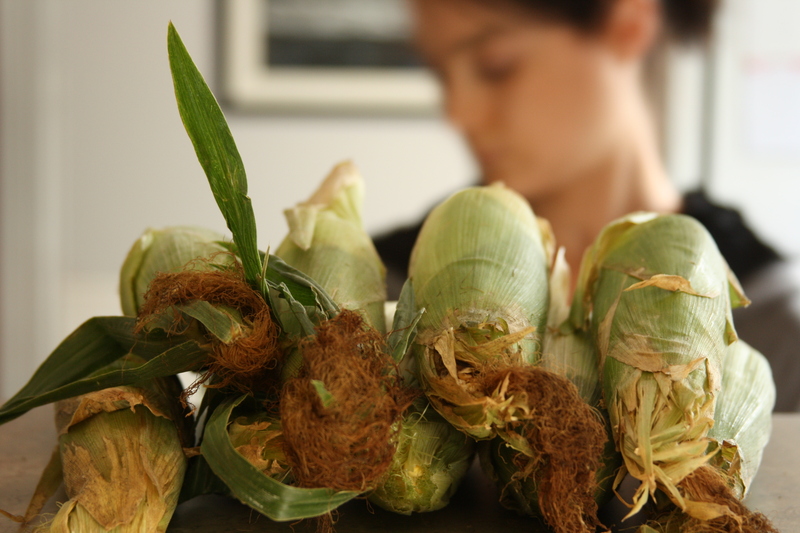 Buy the corn with the husk on as these are typically the most fresh. Second, test the jalapenos and, especially if they are local and it has been a hot dry summer, proceed with caution. You can always increase the spice level by adding jalapenos to the final dish but its darn hard to dial down the heat if you knock the heat level through the roof. If you do, however, overdo the spiciness, don’t fret. Grab a bag of tortilla chips and call it salsa, everyone will love it. 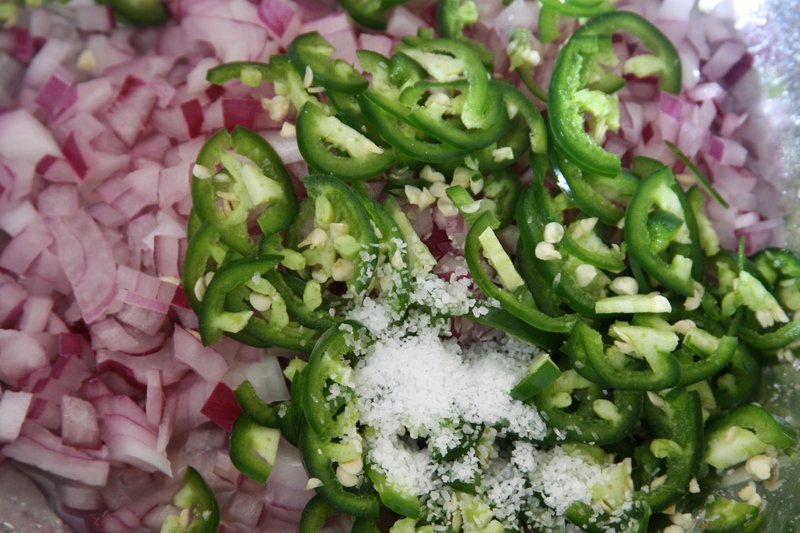 Place onion, jalapenos, lime juice, and salt in the bottom of a large bowl and stir. Set aside until needed. Place the corn, husks on, two ears at a time, in the microwave. 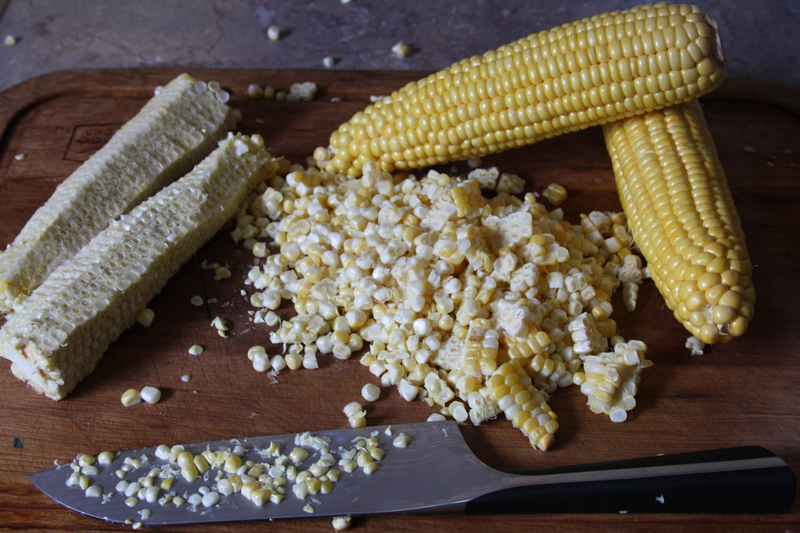 Cut off the bottom of the ear (the stalk end) to expose the last row of kernels fully. Grasp the corn firmly by the silk end and shake until the ear slips free of the husk. Repeat this with the remaining ears. 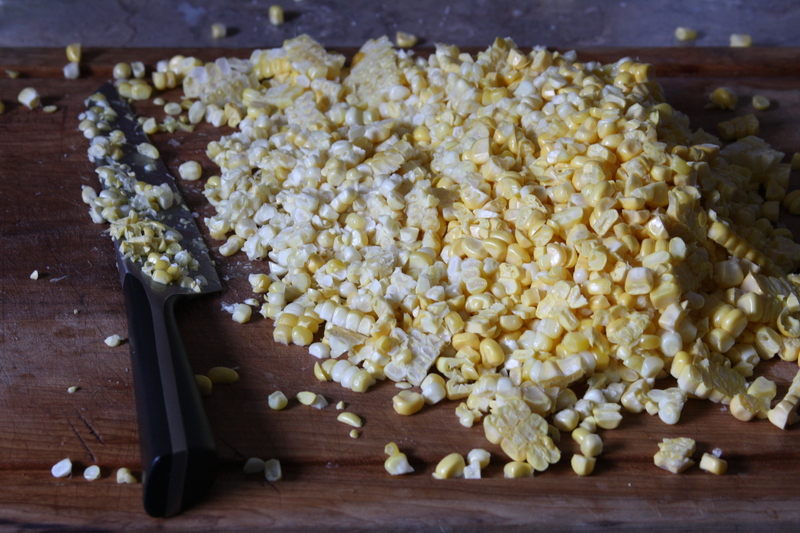 Check for any remaining silks before slicing the kernels from the cobs. 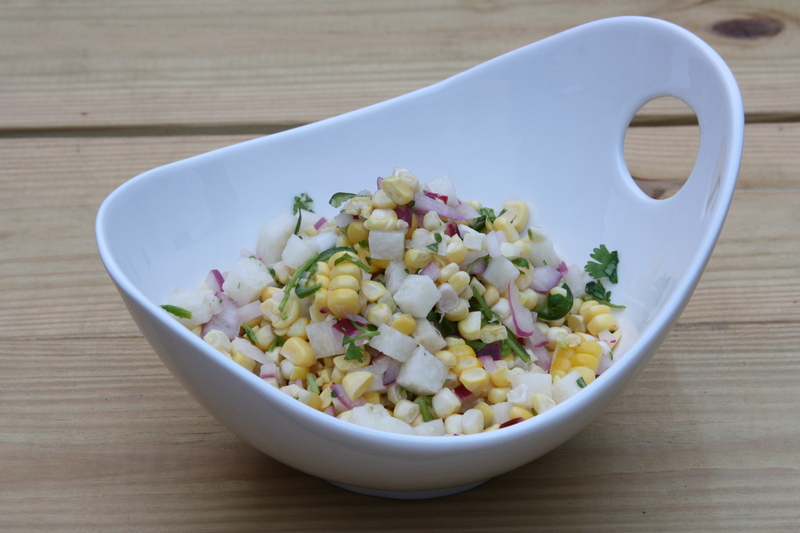 Add the kernels to the bowl containing the jalapenos and lime and add the jicama, avocado oil, agave, and cilantro. Toss to combine well and taste for seasoning adding additional lime, jalapeno, and salt as needed. It has been a supremely exciting couple of weeks. My bridal shower sped by in a flash, our new house is finally, starting to feel like a home. Photos are up on the walls, our spices have finally found a new roost in the organizational challenge that is our kitchen. And our first garden is growing by leaps and bounds, some days I feel as though, if I sat outside and watched, I might actually catch a glimpse of the tomatoes inching up the posts that hold them upright. They have grown at least three feet in the last three weeks, maybe it’s all the love in the air. In addition to sewing our first garden, Dustin and I recently purchased our first grill. Our little webber smokey joe may not measure up size wise to look like the biggest and baddest around, but what it lacks in surface area, it makes up with in ease of use and pure smokey grilling flavor. Since buying the little guy, we have been grilling a few times a week. Recently we started experimenting with fish on the grill, first a few whole sardines made their way onto the fire and onto our plates. Spurred by this “tiny” fish success Dustin and I ventured to whole foods to try a fresh catch. when we arrived we were a bit overwhelmed by the choices (and a bit by the prices as well.) I knew that I wanted to pair the fish with a cucumber salsa I saw in Bon Apetit’s June 2012 issue – we had just received a gorgeous gaggle of hot house cucumbers in our first CSA allotment of the season, and the magazine had auspiciously featured them in their “Four Chefs One Ingredient” challenge, I took this as a sign. Getting back to the market, I asked the fishmonger which fish he might pair with a cucumber salsa. “Cucumber salsa?” he remarked quizzically, something told me this might not be standard fare for fish but I was determined it would work, and he tried to keep an open mind as we walked through potential foils for said salsa. Initially I had thought a tuna steak would pair nicely, but not only was the tuna obscenely expensive, but it just didn’t look quite as nice as its neighbors. Salmon was on sale and in season, but the fishmonger and I agreed it might be a bit, how shall we say this, odd, with cold cucumbers. We moved on, US caught mahi mahi was a strong contender, and I was ready to put in my chips when a man in rubberized overalls laid a vision of a fillet down before me. “What’s that?” I asked my new fish friend, whose patience with me was astounding, “Mackerel,” he replied. I asked him his thoughts on the mackerel with salsa, he paused, smiled, and replied that he thought it was a “real winner.” I was sold. As it turns out, my fishmonger friend was right on the money. Not only does the mackerel pair well with the salsa from a textural perspective, but the slightly oily flavor of the fish stands up to the fresh zing of the salsa. 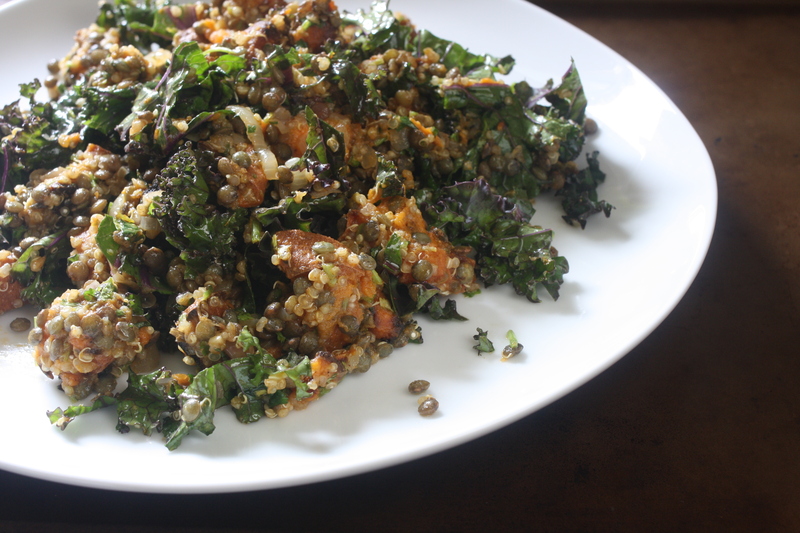 These are nice together with a side of grilled veggies or grill roasted new potatoes. Dustin and I mused that, with the addition of some nice shredded cabbage and a zingy crema, the grilled fish and salsa would make for some excellent fish tacos. Leftover salsa can be used in a myriad of ways, but one worth mentioning is that the salsa is quite close to a cucumber gazpacho, in fact, with the addition of some nice olive oil, a slight splash of water, and a tad more lime, the salsa leftovers may be transformed into a nice (spicy) cold soup for lunch the following day. 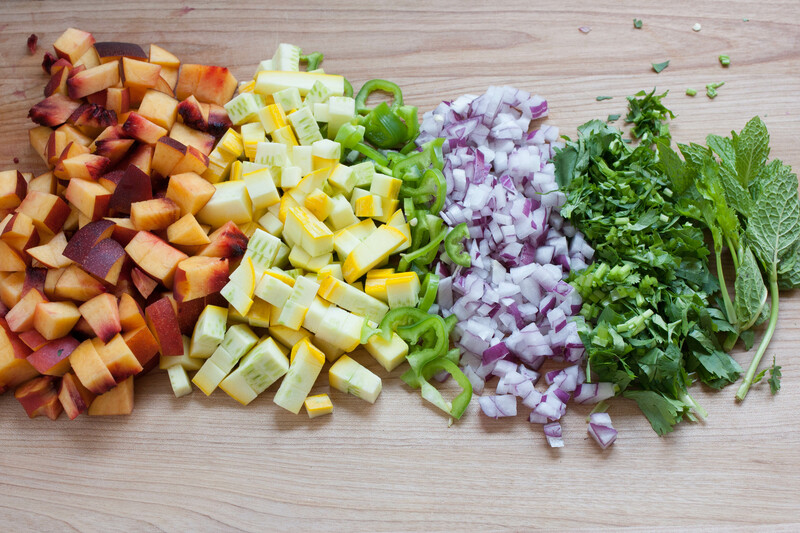 Mix first five ingredients in a medium bowl. Stir in lime juice and oil. 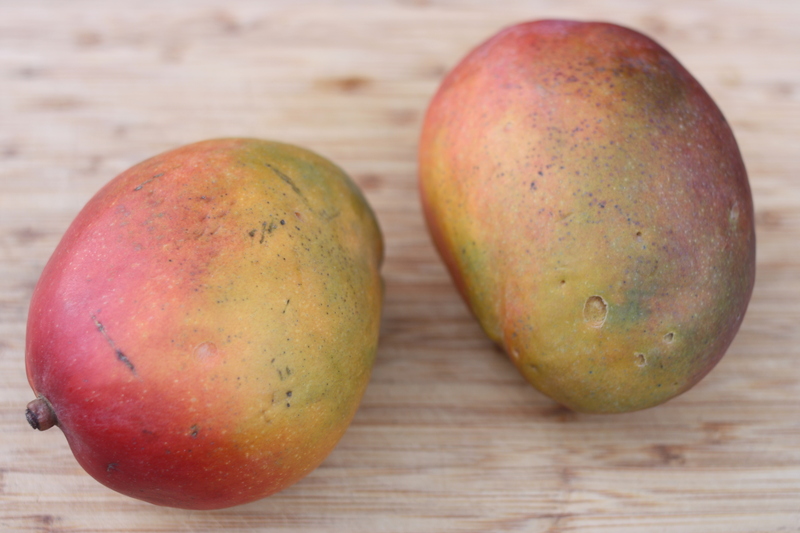 Season to taste with kosher salt, freshly ground black pepper, and more lime juice, if desired. 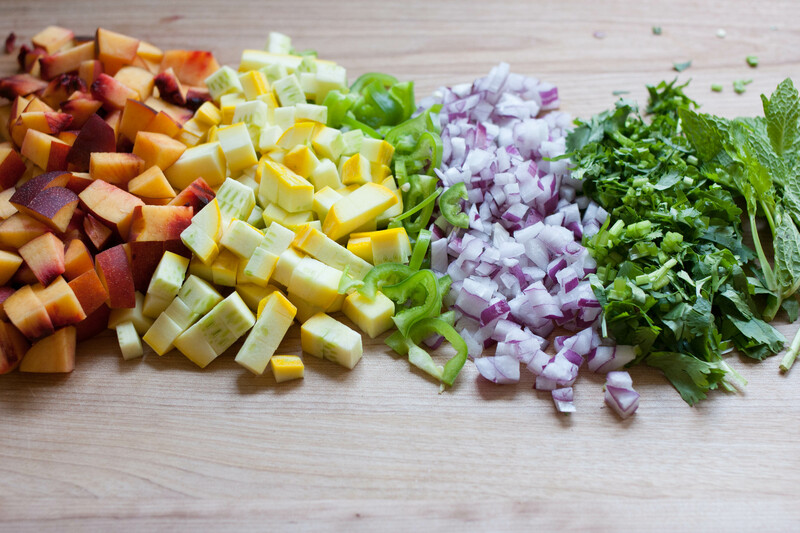 Set salsa aside and allow flavors to meld while you prepare the fish. I didn’t specify a size or type of fish above because, really, a whole slew of fish would go nicely, pick a slightly oily and fairly flavorful fillet that looks fresh and will hold up to grilling. For grilling I prefer my fillets with skin on, but obviously with some fish, like tuna, this is not an option. 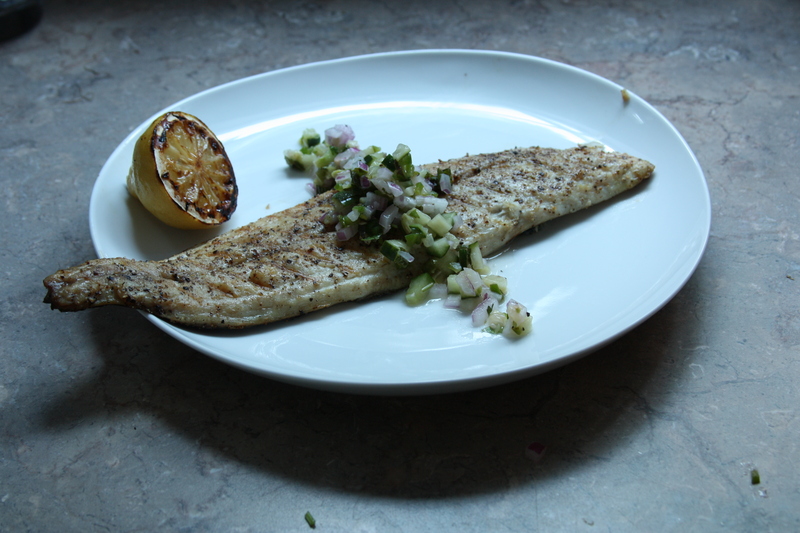 The salsa in this recipe will easily provide for up to three pounds of fish, and, if you plan to make less fish, I think its highly unlikely that the cucumbery leftovers will go to waste. Preparing the fish is quite simple. Run your fingers down the centerline to check for pin bones. Remove any pin bones with fish tweezers. 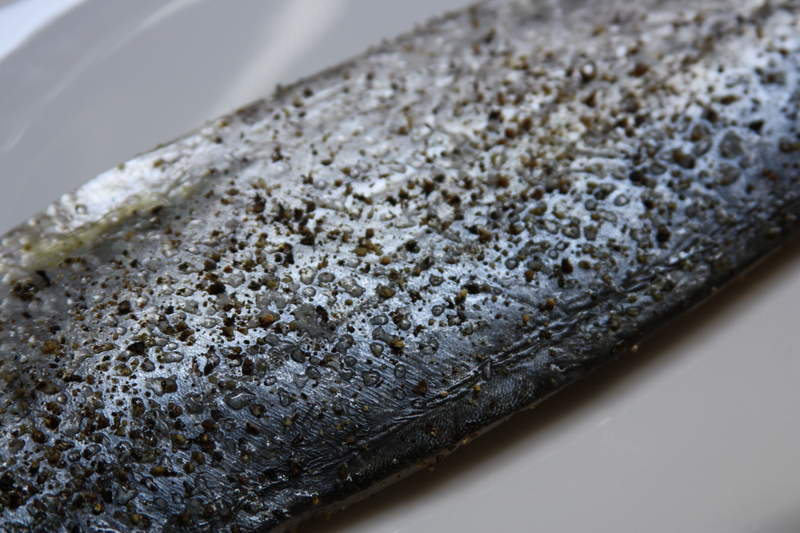 Rub remaining fish with a very light coating of canola or other flavor neutral oil. Sprinkle with kosher salt and some good cracks of pepper. I like to serve my grilled fish with some grilled citrus, grilling lemons and limes mellows the flavor and allows it to zest up the fish (also great with grilled veggies like broccoli or zucchini) without completely overpowering it with acid, to grill the citrus simply slice it in half and place over medium heat on the grill until the flesh bears a slight char. Another few weeks have breezed by without a post. Moving and traveling, and other general insanity have interfered with successful posting. But finally, we are moved in, mostly unpacked, and are getting back to the chopping block. I was listening to a show in NPR last week – the host was holding a discussion on “Moms” in honor of the upcoming Mothers’ Day holiday. More specifically she was discussing how we remember our mothers – how so many of these memories are centered on family traditions and often take place in and around the kitchen. The host opined that kitchen memories are particularly strong as they are associated with sounds, tastes, textures, and scents, and put extra emphasis on how scent memories can be exceptionally stirring and long lasting. I have always been enamored with tradition. Perhaps it is because, with a small family prone to constant change, we didn’t have many of our own. But the memories of the ones we had could not be stronger. I remember, like it was yesterday, watching my grandmother circling about the kitchen reading thanksgiving dinner. I have these vivid images of helping her cut apples into a baking pan for her family famous deep dish apple pie, which I can still whip up today simply by memory. 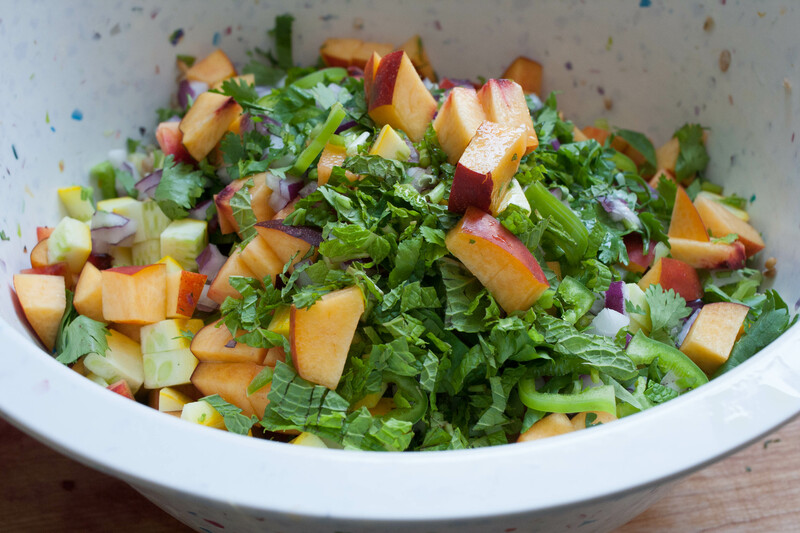 Today’s featured recipe is another from the pages of Ottolenghi’s “Plenty.” It has particular significance to me as it was prepared by my friend Julie and served at my bridal shower on the 5th of this month. 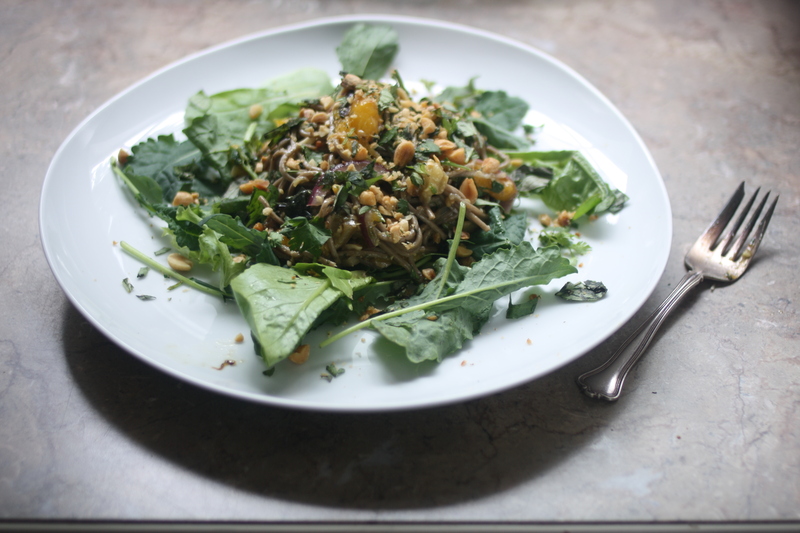 The individual ingredients are so wild but it marries beautifully in this summery noodle salad. It is a flavor memory of a beautiful day that I am sure I will enjoy remembering for years to come. 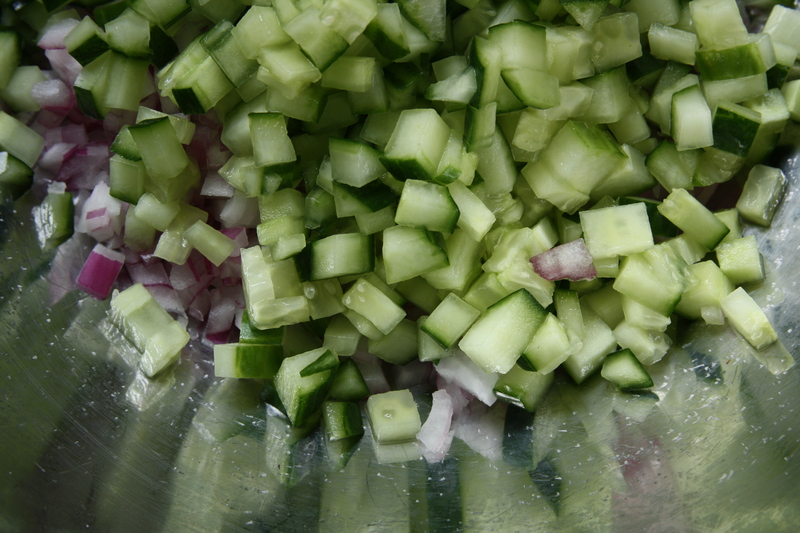 To make the dressing place the vinegar, sugar, and salt in a small saucepan over medium heat. Cook, stirring, about 1 minute, or until the sugar has dissolved. Remove the pan from the heat, add garlic, chile, and sesame oil. Allow the mixture to cool, then add the lime zest and juice. Line a colander with a sheet or two of paper towels and set over a large plate next to the stove. In a large cast iron skillet heat the oil over medium high heat. 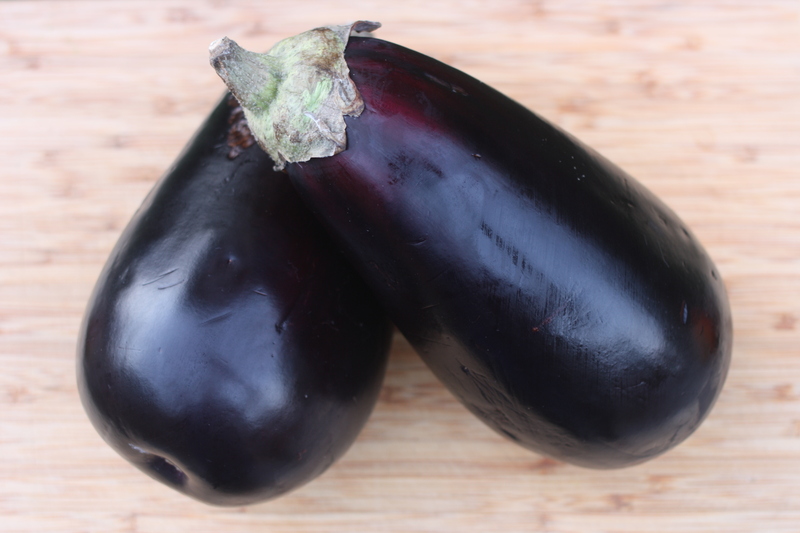 Toss one eggplant cube in as a test. It should come out golden and crisp, not too dark, not too soggy, repeat test if needed. Once the oil is at the right temperature toss in about a third off the eggplant and fry, flipping once, until golden. 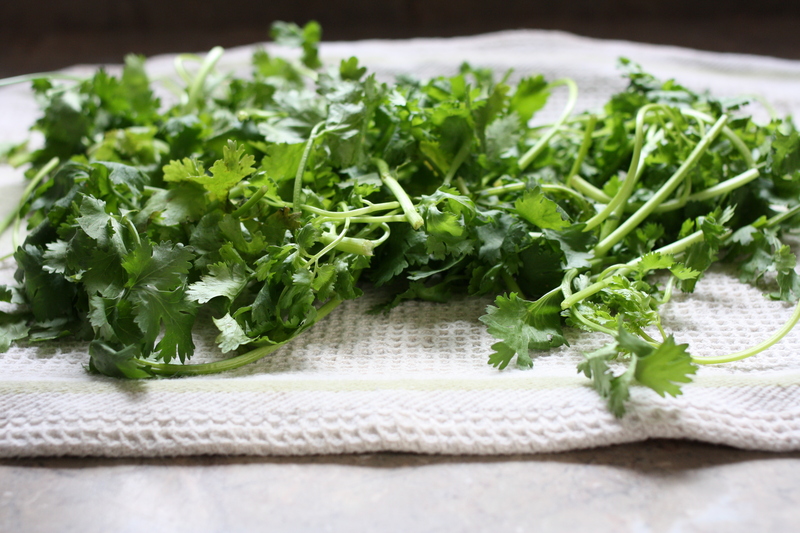 Remove with a large slotted spoon or wire skimmer and place into the prepared colander. Add a bit of salt to season after removing each batch and toss to coat. Repeat the process with the remaining thirds, leaving about a minute or so for the oil to come back up to temp before adding the next batch. 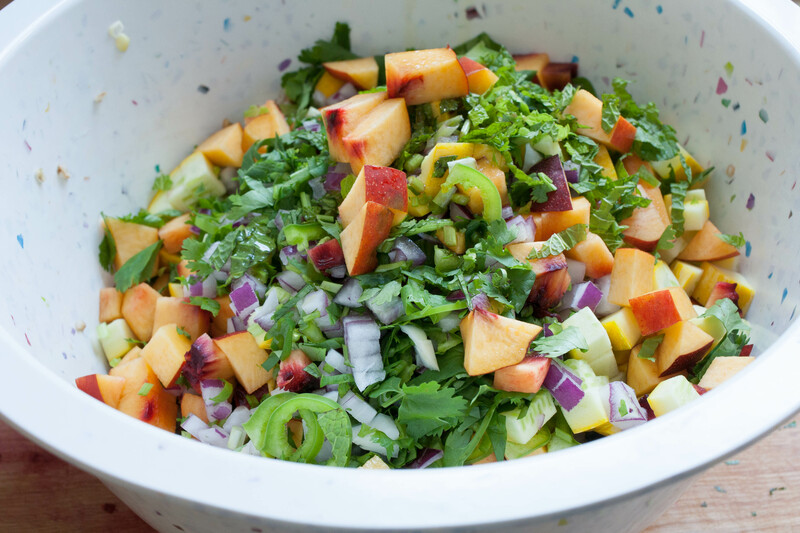 Place cooked Soba noodles in a large bowl along with the red onion, mango, herbs and eggplant. 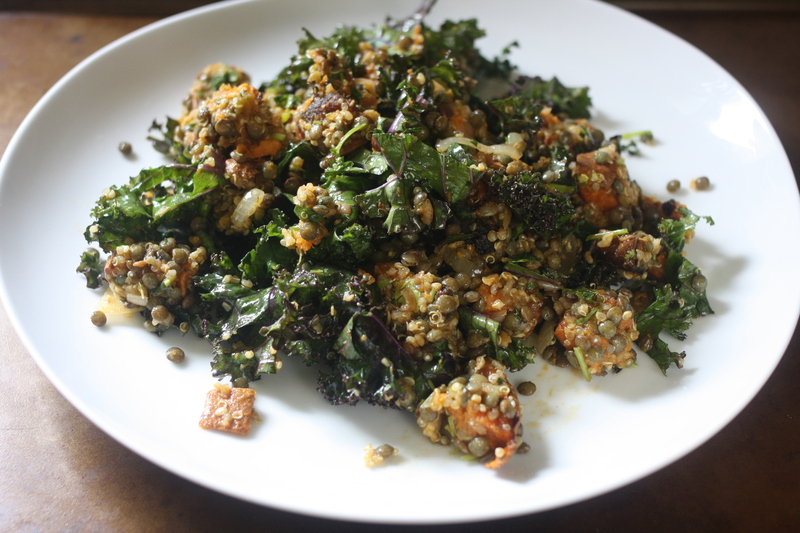 Add dressing, a bit at a time until seasoned to your liking, add salt and pepper to taste. Toss, top with peanuts, and enjoy.